Speak Out! No Money for Nuclear Power in the Clean Energy Standards!!! Come to the NYS Public Service Commission Hearings on the Clean Energy Standard to support the purchase of new and existing renewable energy resources. Strongly oppose the inclusion of a tax on all New Yorkers to prop up aging and unsafe nuclear reactors in upstate New York and eventually Indian Point. The PSC must not tax all ratepayers in New York State for an estimated $3.5 billion bailout for unprofitable nuclear reactors in upstate New York. 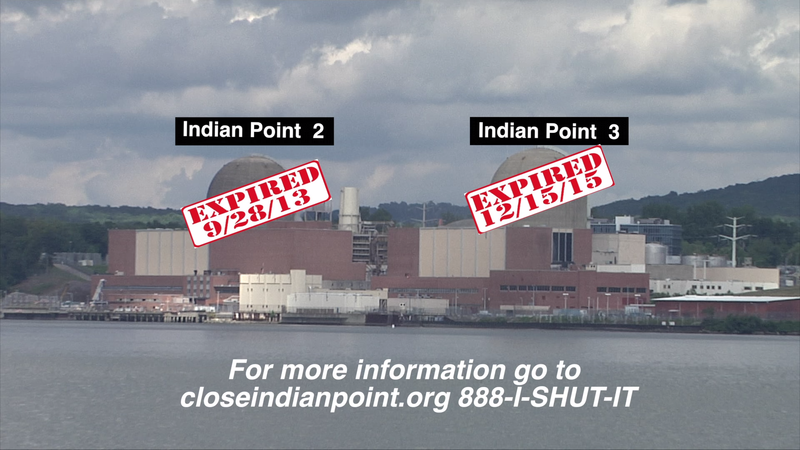 Entergy has already said that it would sue to make the monies available to Indian Point. Public policy must include subsidies for the emerging technologies of wind, especially off-shore wind, hydroelectric, tidal, and the installation of community- and utility-scale solar, as well as storage and energy efficiency measures. This is critical. If New York includes nuclear power in its Clean Energy Standards other states will follow suit. We cannot allow this to happen. Nuclear energy is a dirty and failed technology that has no place in any clean energy plan. Make your voice heard at the upcoming Public Hearing on the Clean Energy Standard. Tues., May 31, New York City: NY State Public Service Commission Boardroom, 4th Floor, 90 Church St., NY, NY. Can’t make the meeting? Send your comments here: http://www.allianceforagreeneconomy.org/nukes-are-not-clean . Don’t put it off; do it NOW! The deadline is June 6, 2016. Last actions: call your elected official and ask them to sign the linked letter as a body or as an individual. They all received a copy of the letter last week in a mailing from Clearwater. Also ask your organization to sign it. If you need more information watch this short video. Thank you Charlie Olson for all of your work in putting this together. Thanks also to the Sierra Club who who did the original slides for talking points. Previous post ← NUCLEAR HAS NO PLACE IN A CLEAN ENERGY STANDARD; JOIN US IN TESTIFYING! I am here in support of a truly clean standard, one that is bold and aspirational. The higher we set the bar, the closer we will get to the ideal of 100% renewable energy by 2030. As a New Jersey resident, walking past the office of RGGI was bittersweet—wish we were still in it, wish the standards were higher and made a bigger difference. Maybe with a new governor in 2018 we can contribute to that program. Meanwhile, for this new standard, as a citizen of a neighboring state, I ask that you push New Jersey to keep up with you—and keep up with us in other ways. The Renewable Energy Transition Act currently being debated in our Assembly in Trenton does not include nuclear energy; Oyster Creek will be closing in a few years, and as a North Jersey resident within about 35 miles of Indian Point, I look forward to the responsible decommissioning of that facility. 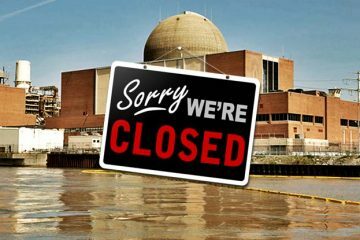 I am sure that the communities upstate would like to be equally secure in the path to closing the nuclear facilities near them. Thus, I am worried about your plan’s proposed inclusion of so-called zero-emission credits for nuclear energy. First, scientifically, this is inaccurate: radioactive emissions are constant, sometimes low-level, sometimes much greater. The full nuclear fuel cycle reactors emits substantial greenhouse gases into the atmosphere, including methane. In addition, nuclear energy constantly releases radioactivity into the water and air. It relies on uranium, which is neither renewable nor sustainable, being mined and refined in the American Southwest, in Australia, and in other water-stressed regions. Greenhouse gases emitted there do not know geographic or political boundaries; they increase the atmospheric conditions that lead to our continuing climate-change/global-warming issues. As the uranium fuel process continues through waste disposal, vastly more fossil fuels are used, also contributing to the GHG emission profile. As our reactors age and become riskier, and the energy market changes, we should transition as quickly as possible away from this risky fuel and put our tax dollars into truly clean and renewable technologies and into the transmission and grid upgrades that will make them efficient.